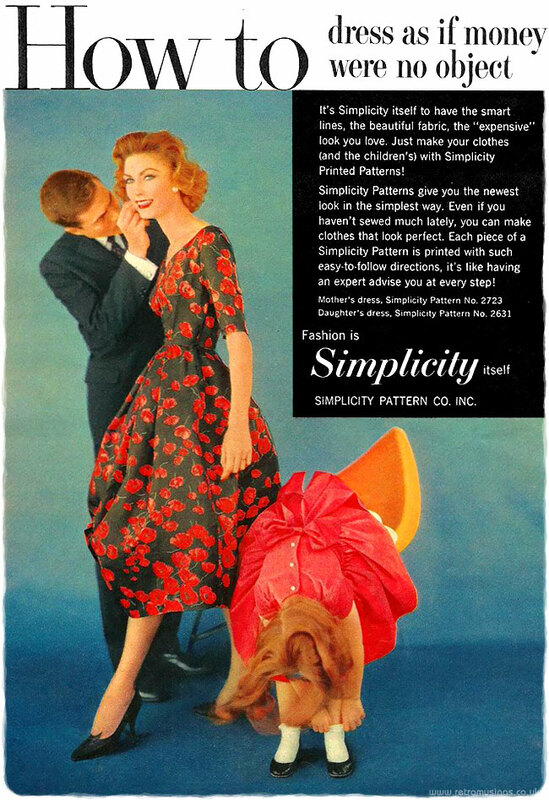 These ads for Simplicity dress making patterns date from 1959-59. 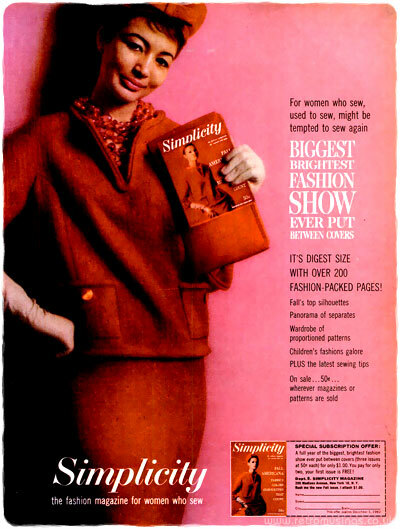 These ads for Simplicity dress making patterns date from 1960-64 and feature the new Simplicity Magazine. 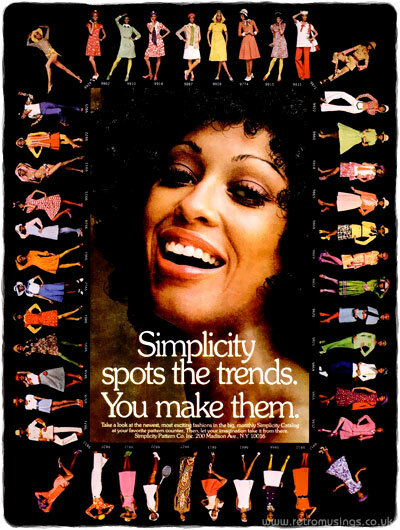 These ads for Simplicity dress making patterns date from 1965-67 and featured actresses, models and singers of the day. 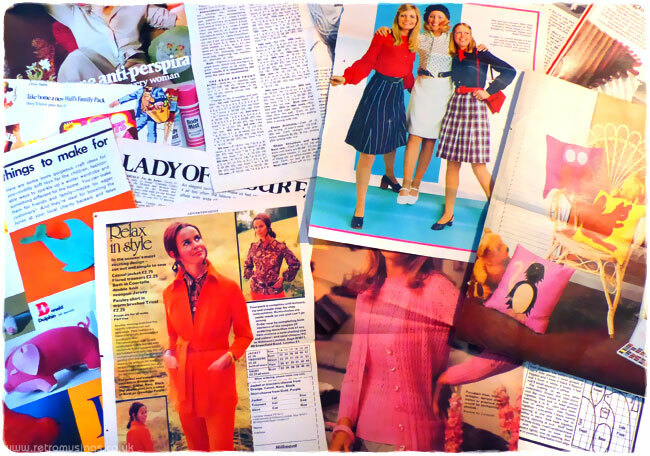 These ads for Simplicity Fashion News, Simplicity’s new monthly mini-magazine, date from 1967-70. 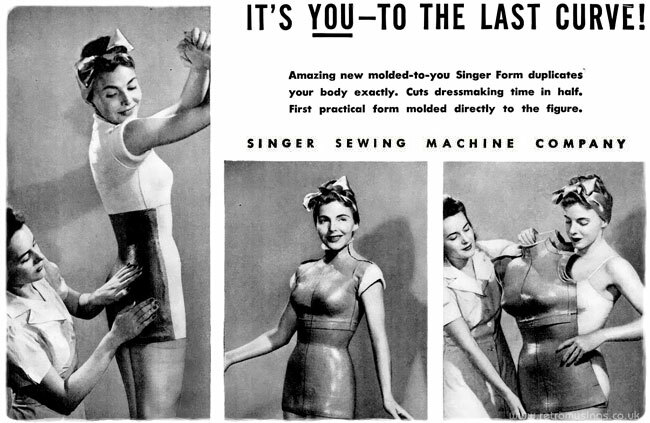 These ads for Singer Form dressmaking body moulds date from 1941-43. 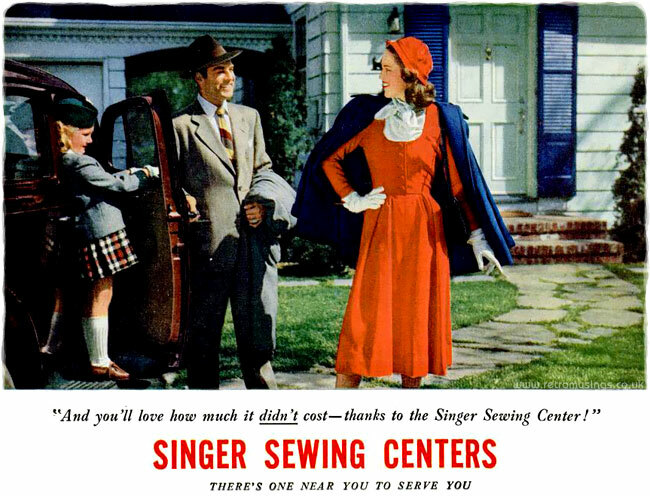 These ads for Singer Sewing Centres date from 1947-48.